This is #mybag …. It's made of cotton and has been loyal friend for over a year. I got it when I became a member of the Plastic Pollution Coalition. It's a tote bag but I use it for so many other things besides collecting my vegetables each week at the farmers market. I like to use it to pick up rubbish (don't worry, I wash it! ), carry plants home from the nursery and use it to collect foraged food from bushland. As you can see this bag has many uses and should last me a long time. And when holes will eventually appear I can stitch it up and continue to use it. This handy tote will come to the end of its life but that does not mean its life cycle stops there - I can use it as a rag or it will break down naturally in a compost bin over time. The Story of Stuff is asking people to show their reusable bags and prove to the the people of California that plastic bags are not cool. In November 2016 the people of California will face a referendum to ban plastic bags. Let's convince them to select the box on the ballot that will have them banned by showing them how great reusable bags are. I was recently in LA and enjoyed a bike ride from Manhattan Beach to Santa Monica. Along the way we passed through Marina Del Rey near the Ballona Wetlands where we were dismayed to see endless plastic bags stuck to rocks along the creek. This creek runs right into the ocean and it's only a matter of time before the plastic will end up there. I'm not a citizen of California so I won't be voting. But I am a citizen of this world and I believe that if a state like California can get plastic bags outlawed then it could create a domino affect, inspire other communities to stand up asking for a ban in their own country. There are towns in Australia that are fighting to have plastic bags banned too. I was nominated by Kathryn from Going Zero Waste to show off my bag. Now I want to see yours. 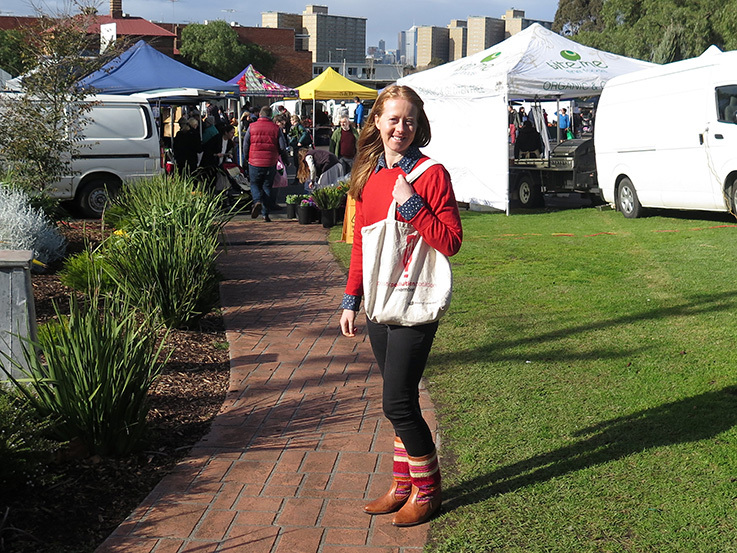 Jump onto Instagram OR facebook OR your blog and take a photo with your fave reusable bag then tag it with #mybag. Ask your friends to do the same and lets show the world that reusable bags are better than plastic. I came across this infographic and thought I would share it. It explains the many reasons why I am so passionate about reducing plastic. Read it and share it, you never know who it will inspire to make a change big or small. Around the world people are giving up single use plastic for the month of July but for many a month long sabbatical from plastic might be a little too daunting. If that sounds familiar I would like to introduce Plastic Free Tuesday where you have one dedicated day of the week to reducing your plastic footprint. 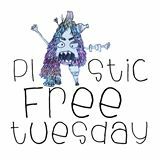 Today on the blog I am talking with the founder of Plastic-Free Tuesday about ways we can stop feeding the plastic monster. 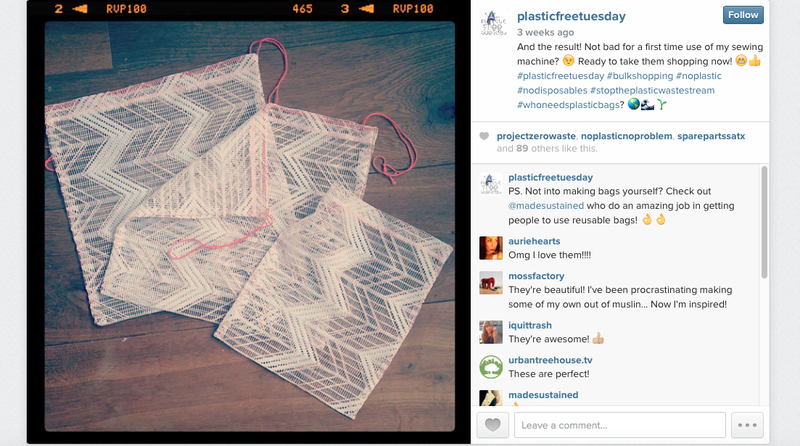 What inspired you to start Plastic-Free Tuesday? Years ago I watched a TED video by plastic-free pioneer Beth Terry about her plastic-free life. This was the first time I reflected upon the vast amounts of plastic and plastic waste in our society. A few years later, when I read yet again another news item about how plastic ends up in the intestines of birds, causing a painful and slow death I decided to, just like Beth Terry, do something about the problem of plastic consumption and pollution. I started a weblog, in Dutch, where I documented my journey towards living with less plastic. The blog still runs at www.plasticminimalism.blogspot.nl. After a year of blogging I lived an almost plastic-free life. Yet, news about animals dying from plastic kept coming. It was time to get more people involved. But it had to be easy and fun and without any pressure and extremes. I strongly believe that taking one small step at a time is the best way to achieve long-lasting behavioral change. Most people like to take up a challenge, especially if it’s for a set period of time. Keeping in mind it had to be easy and fun, I came up with the idea of Plastic-Free Tuesday. 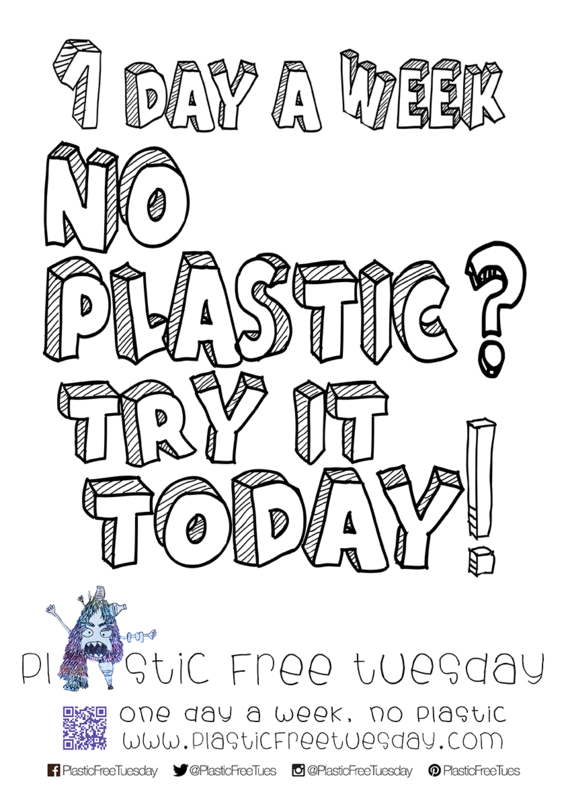 On Plastic-Free Tuesday people choose to not buy any plastic and not throw any plastic away. In my experience it is exactly this one day that is a huge eye-opener. Not buying or throwing away any plastic for a day is enough to trigger a whole new way of looking at the world. What tools does Plastic-Free Tuesday offer someone who is looking to cut down on plastic? solution in your area. To help you to inspire your school, office, church, sports club, and others, we have designed campaign posters in eight languages. They are available for downloading on our website. It’s easy to get involved! People can join us by buying less or no plastic on Tuesdays. If you need tips for how to get through the day, go to our website and sign up to get new blog posts straight into your mailbox. We would love to see the Plastic-Free Tuesday movement grow bigger, but for this we you’re your help to spread the word. You can help us by liking or following us on Facebook, Instagram, Twitter, Youtube, and Pinterest. Or simply tell your friends and family about Plastic-Free Tuesday. 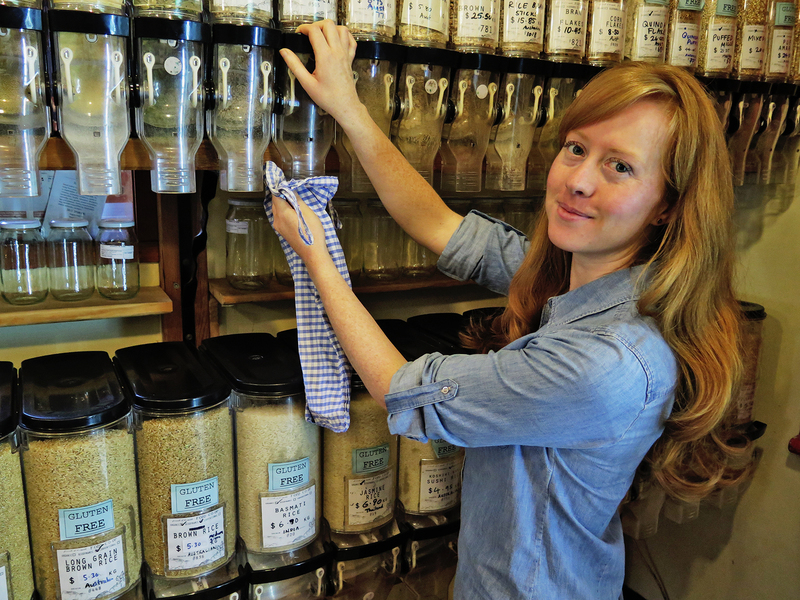 Plastic-Free Tuesday is completely run by volunteers. Our team members are based around the world. We are always looking for enthusiastic guest bloggers. So if you are interested in sharing your day without plastic, tips, and tricks, please get in touch and share your story. 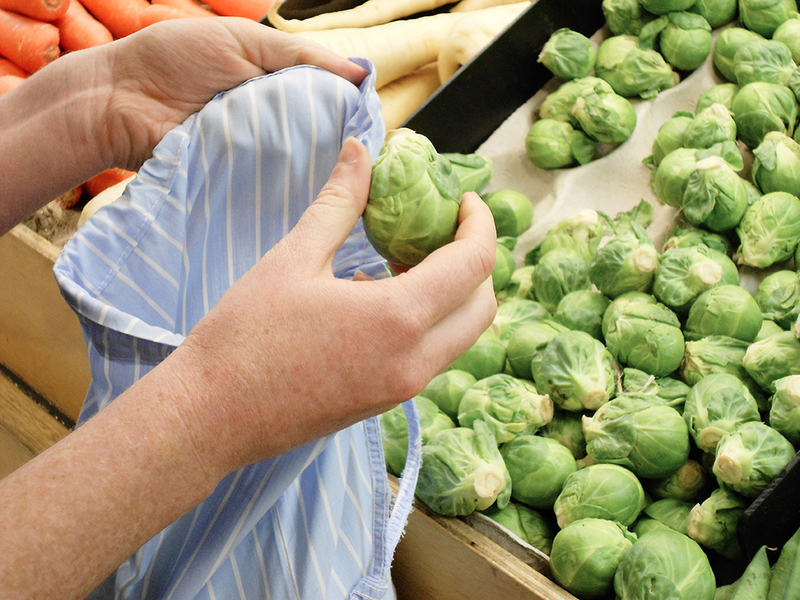 What are Plastic-Free Tuesday’s top tips to cut back on plastic? The easiest way to reduce your plastic footprint is to always bring your own bag when you leave the house. 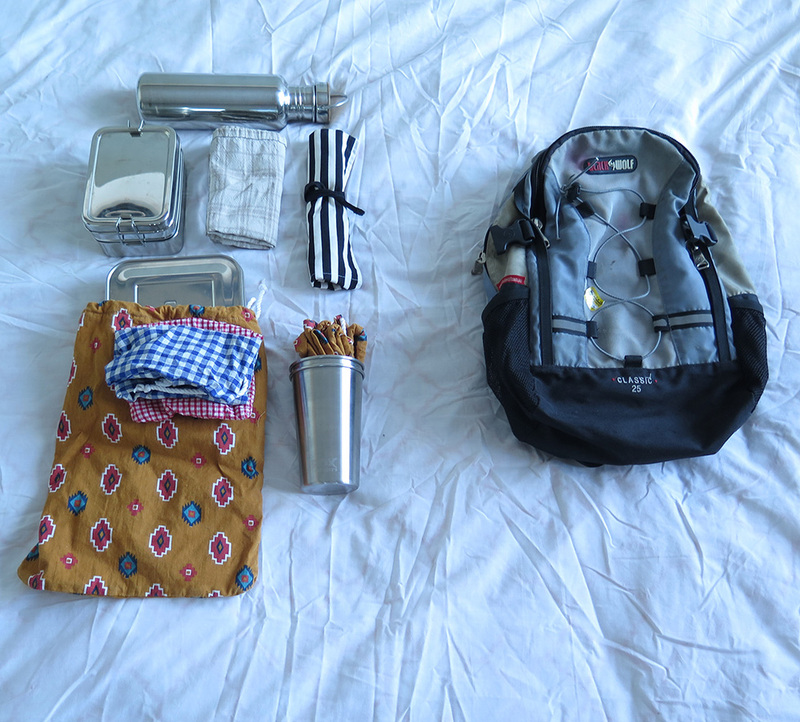 Just put a (foldable) bag in your backpack or purse and use it whether you buy food, clothes, or stuff. Make it a habit to never accept a plastic bag. Use your hands or a box if you somehow forgot to bring your bag. Another great one is to get a reusable water bottle. I have a pretty one from Klean Kanteen, but I came to realize that plastic-free does not have to be expensive. A cheaper alternative would be a mason jar. 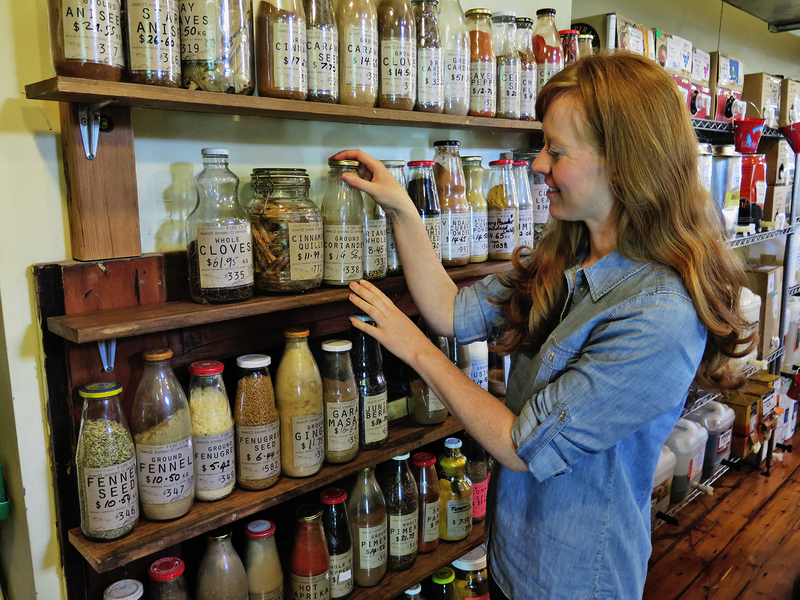 Or simply re-use glass bottles or jars that you buy in the supermarket for tomato sauce, juice, or jam. 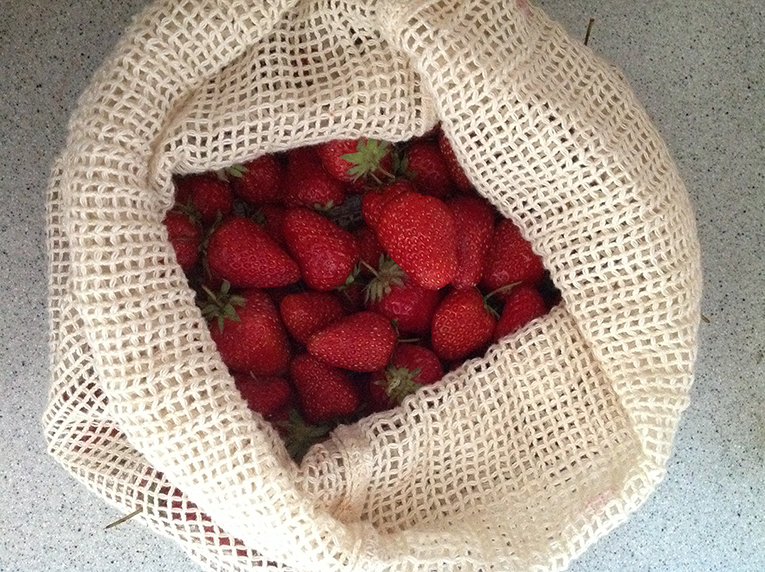 Finally, I totally recommend buying or making reusable produce bags. I bought some Re-Sacks and I use them for so many things! I bring them with me when I go to the market, when I buy nuts, rice, beans, quinoa, you name it. It saves so much plastic, it’s unbelievable. What are some of Plastic-Free Tuesday’s achievements so far? First and foremost I think that together with others, we have created a great network of plastic-free advocates. We cannot work alone. By working together we can amplify information about the problem of plastic consumption and pollution and the solutions available. Together we can provide a fun alternative to stop the plastic waste stream. What are Plastic-Free Tuesday’s plans for the future? We will continue to campaign for a world with less plastic. We would love to have more offline projects. I recently joined a Dutch project called Plastic Madonna. For this project, people pick up PET bottles that they find on the street and bring it to a collection point. I am managing such a collection point in the town I live in. In the coming months I hope to run more of such small-scale, low maintenance projects to raise awareness about the plastic waste stream. Ultimately, I would like to see each day of the week plastic-free. But until that happens, we’ll continue campaigning. 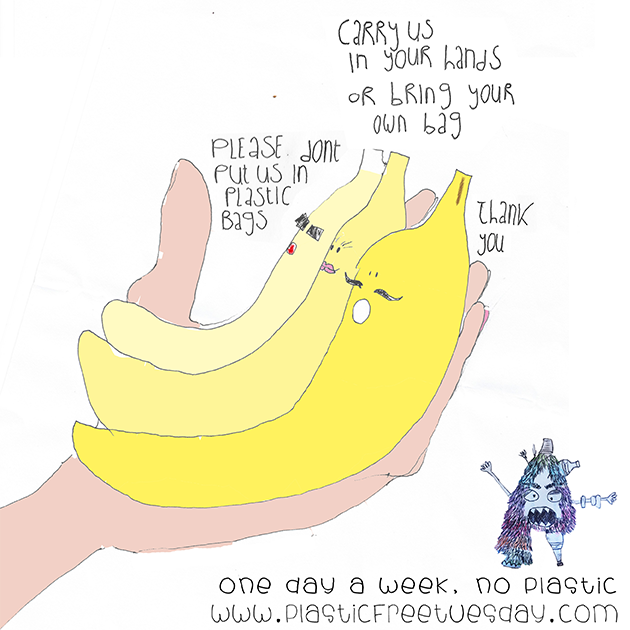 Can you give up plastic for one day of the week? We (my boyfriend and I) are off to the USA for three weeks and I cannot wait. We will be visiting Hawaii, Arkansas and ending with two days in LA. The main purpose of the holiday is to escape winter (it's cold here) and visit my family. Our last holiday to the the Philippines was our first zero waste trip and while we did pretty well there was one constant trash element that popped up and that was luggage stickers that came from checking in luggage. So this trip we are only doing carry on. This means we have a weight limit of 7kg (15 pounds) each. 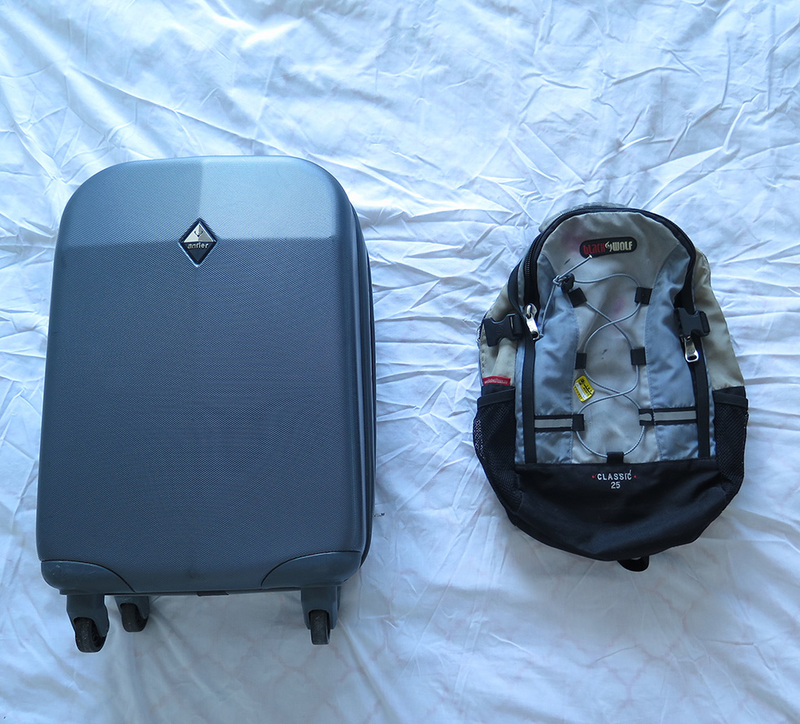 This includes one standard small suitcase plus a small bag like a backpack or handbag. It's not a lot when you have to consider that we were taking stainless steel items and some of our beauty products were in glass. As we are flying from winter into summer I will need to dress for the airport here and our return trip home, not to mention keeping warm on the plane. I will wear my blue dress, a black singlet underneath followed by a long sleeve grey cotton shirt and teamed it with wool stockings and my sneakers. Then I will use my maxi skirt as a blanket on the plane. We are flying Jetstar so there will be no pillow or blanket free. I will stuff clothes into one of the reusable cloth bags for a makeshift pillow. I will hand wash my underwear after each use and other items after a couple of uses. Because it is summer it should dry overnight. I generally just use my soap to wash my clothes in the sinks of wherever we are staying. I would not normally pack heels but we are celebrating our anniversary (awwww) and plan to dress up a little. Explains why I am taking a formal dress. 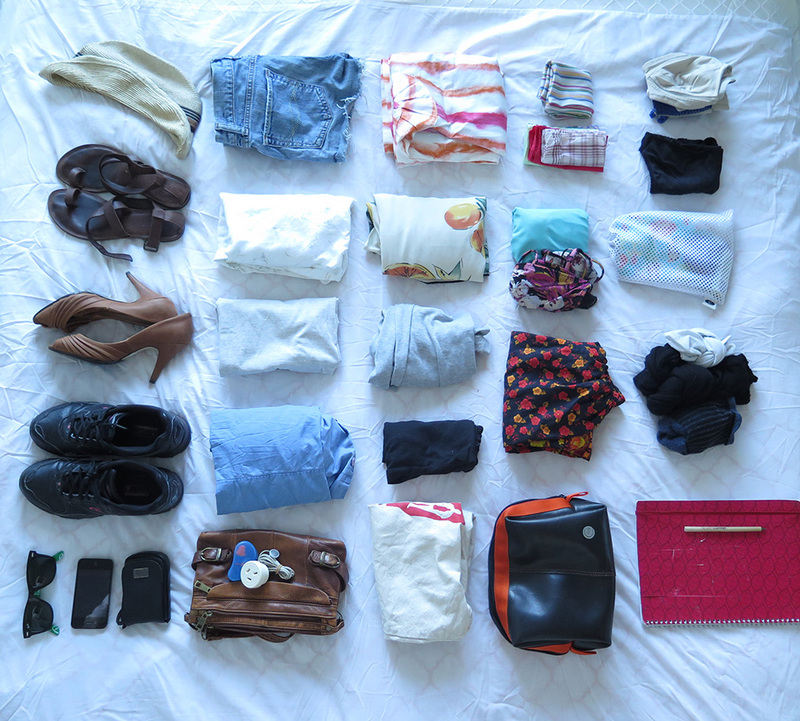 Everything below is everything we both will pack into the toiletries bag (black bag in the bottom of the photo). We will share things like soap, toothpaste, razor, deodorant and sunscreen. I have to pack the cloth pads in with my clothes because they take up a lot of room in the toiletries bag. The backpack was the extra bag that the Builder will carry on. And that's it. I have room to pick up an item or two if we go thrift shopping. Sorry for the poor lighting in the photos. This was a quick and unplanned post that I thought i'd share. ...or to be more accurate, trying actively to NOT buy new plastic for two years. A bit of a mouthful and maybe why the term 'plastic free living' is a more memorable phrase. I decided to reread the blog post about my first year to compare/contrast what had changed. In the post about my first year I listed what I was doing to reduce my plastic footprint by item. Some things have changed and some have not. Now I use bulk bought shampoo by Back to Basics in an up cycled glass bottle. I don’t use conditioner. If I have some oil on my hands from my body oil I will run them through my hair but generally don't add anything other than shampoo. I will continue to use a shampoo bar for travelling to save on space and weight. Last year I started using almond oil…well not anymore. It did not suit the skin on my face so I ended up using it just on my body which was fine. It soaks in faster than coconut oil and is more affordable. I have very oily skin so maybe the almond oil was too heavy for my face. And even Jojoba leaves my skin feeling and looking dull/congested. As much as I lamented over this I went back to rosehip oil. It is my favorite face oil and I used it for years before going plastic free. It keeps my skin clear and bright. The bottle is glass but it has a plastic lid and plastic orifice dropper (gasp!) that I keep for reuse. One bottle of rosehip lasts the whole year as I don't use it everyday. If anyone has any suggestions on how to get this item plastic free please leave a comment. I am on the lookout for shea butter unpackaged as this would work well as it is light like rosehip oil or so I have read. I do miss my old makeup sometimes. I loved the routine. I also miss dyeing my eye brows and eyelashes. I am contemplating trying henna as I can buy that package free. But then again...I don't miss the upkeep! Still using the same one and have gained two more that friends did not want. I'd say i'm set for life. I don’t use a body scrub often as I have a good exfoliating cloth made of cactus. When I feel like giving my face a bit of indulgence I wipe lemon juice on my skin. It keeps any blackheads at bay and my skins looks brighter. Well, I think it does - and I'm the only person who matters when it comes to pleasing how I look. 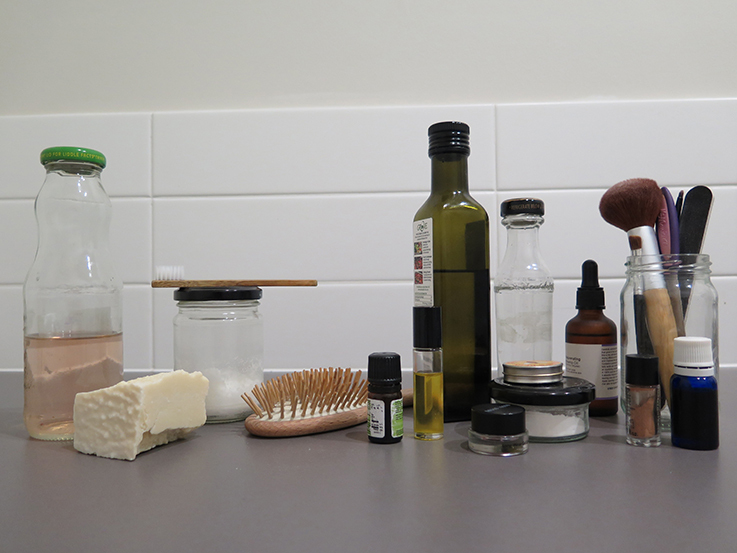 Everything but four items (rosehip oil, essential oil, clove oil, orange oil) is bought without plastic. The clove oil and orange oil are used in my house cleaning products. All are recyclable but I would prefer to have refill options. If anyone knows anyone in Melbourne, Victoria or Australia that sells essentials oils as refills you would make my day. Or if anyone knows a fun way to upcycle essential oil bottles I'd love to know. I am looking at doing a price comparison post soon for those interested. We share the same soap. He also has shaving soap that is purchased from The Australian Natural Soap Company too. We share the toothpowder. He also uses a bamboo toothbrush. And that is the extent of his grooming. We have become pros at this. Practice and routine has enabled our grocery shopping to be seamless. Our shopping is split between the farmers market, butcher, fish monger, delicatessen and bulk food stores. We visit the farmers market each Sunday and if on the rare occasion we can’t make the market then we will go to a fruit and veggie store near our home. The delicatessen we visit is always busy post 9am. It can get hectic with the staff running around dealing with so many customers. So we decided it would be easier if we just reuse the plastic containers the staff are used to. We did toy with the idea of buying a collection of smaller stainless steel containers to collect dips, cheese, blood sausages, soft cheese, anchovies and whatever else we feel like getting…but quickly realised that would be too expensive. We don’t go to the deli every week, more like once a month. 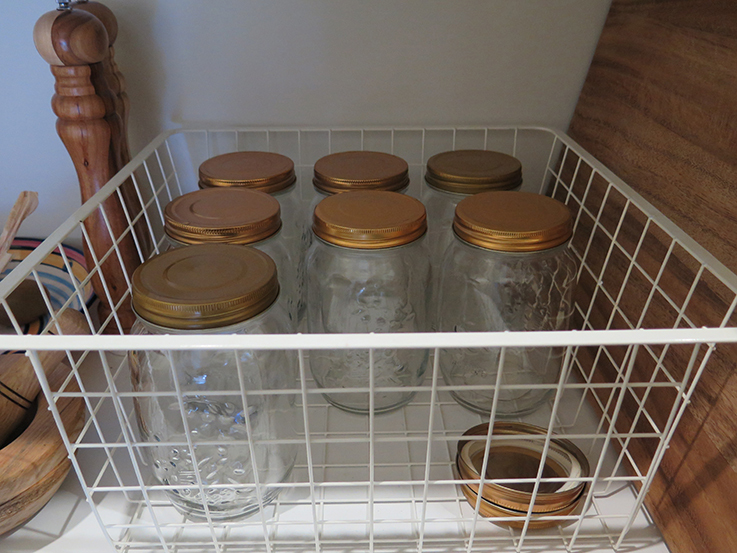 The plastic containers work perfectly well, are looked after (we have had them for two years) and doing what they need to do which is limit new plastic in our lives. The bulk store is last because this is the place we probably visit the least. We used to go every other week but now it is every three to four months and each time we buy less and less stuff. 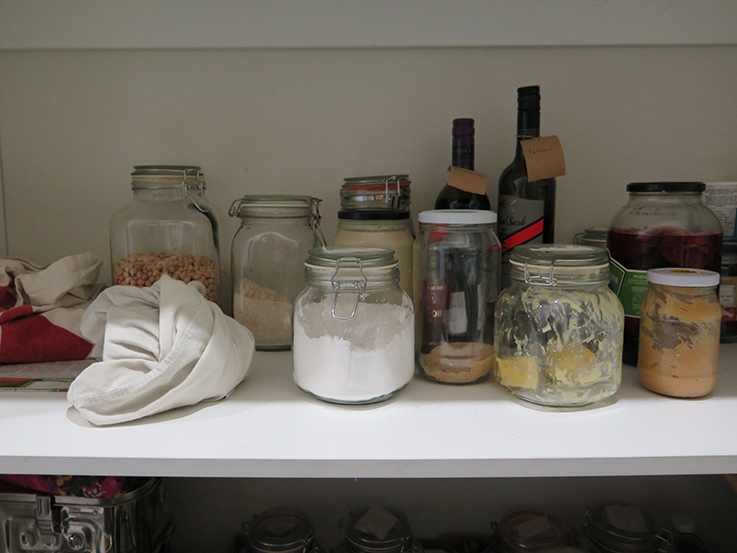 My food shelves are stocked with less than ever before and this might be because I am using my cookbooks and other online recipes less simply because the cookbooks and food blogs i used to trawl rarely work in favour of eating seasonally. I think one of the reasons we visit the bulk store less often is because we don't crave things like beans, legumes, rice and other grains. Maybe I never did like those foods that much and only bought them because they are in the supermarket or there was a pretty photograph on a food blog. We had a good couple of months where we had an empty pantry and were just eating vegetables. My diet has changed considerably in the last two years. Not only has all processed food vanished completly from the house (and a knock on effect outside the house) but also realising a lot of the food choices I was making were driven by food blogs, recipes books and magazines. I have a better understanding of what foods make me feel good and those that don't, learning to lean in more into what I naturally crave rather than chasing down a superfood or the latest diet trend. While we can buy mustard and other sauces in glass I don't buy them anymore as the lids have a plastic lining. We don't miss this type of processed food. I might try and make my own sauces like tomato or mustard over summer. I can make my own mayonnaise so that's a start. What we eat/cook is a commonly asked question and I will expand on it in the future. We are now refilling our beer, cider and wine. I can only imagine this business model taking off. It's so much fun tasting the beverage first before buying it. I buy butter from Curds and Whey in my own container. People email me asking about milk and yogurt...I don't drink milk really. It's not something I crave at all. I buy it occasionally for cooking and yogurt is pretty much non existent in my diet. I thought about nut milks but again i don't drink it enough to make it and nuts are expensive! I can buy my milk in bottles from either Elggar Dairy or La Latteria. Both will take back the glass bottles for reuse but the lids cannot be reused due to some silly law in Australia. They can be recycled BUT I only just learnt that the lids are lined with plastic (another silly law). Milk that is in cardboard also has plastic too. So I am not buying milk until I find a solution or maybe its time to jump onto the nut milk bandwagon? Or maybe the laws need to just change in Australia. Thank goodness I can get cheese plastic free. A milk free life I can deal with. How we store everything has not changed since my first year. 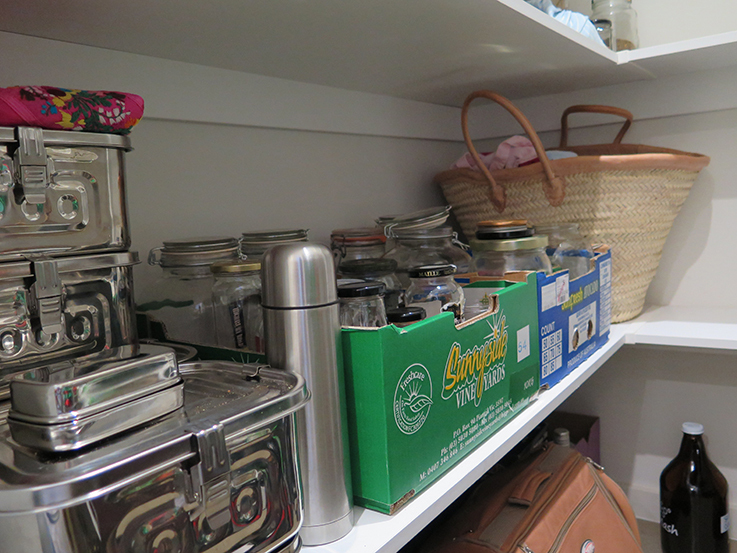 Glass jars, ceramic bowls and the stainless steel containers are all we use. 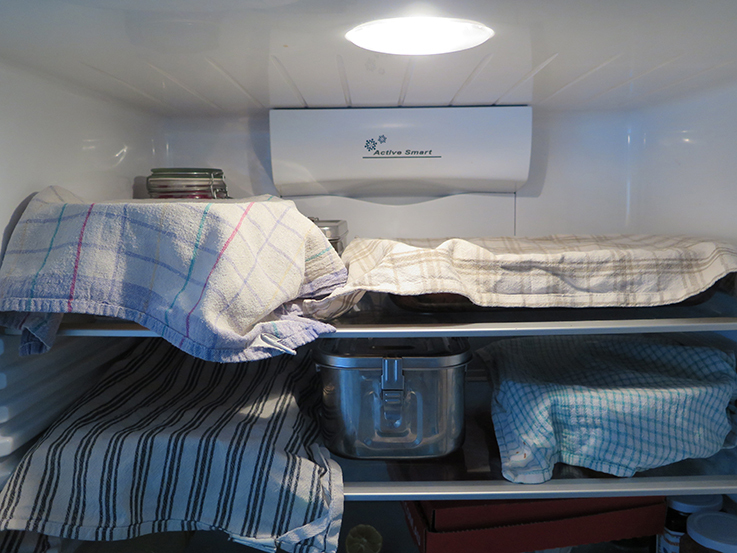 We have not dropped down dead from germs....because we all know that cling wrap will save us from germs. 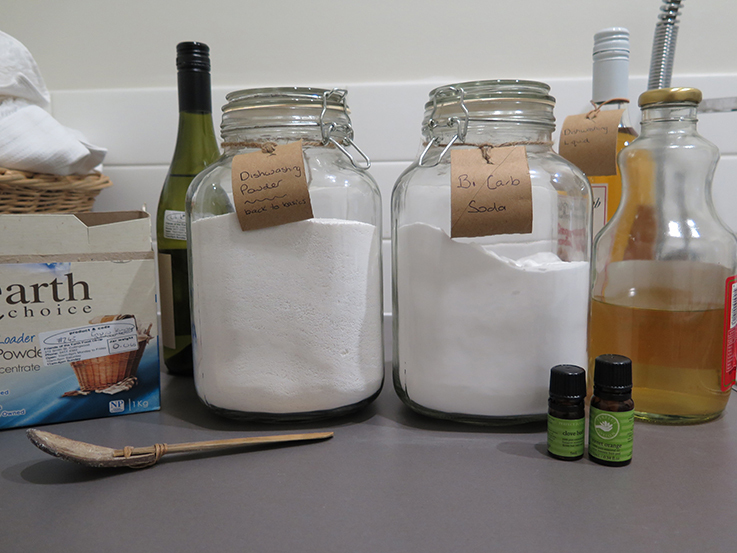 This year I would like to learn the art of sourdough and maybe ginger beer. I kept old wine and juice bottles for collecting castile soap. I use the castile soap for hand soap, hand dish washing, floors, general surface cleaning. 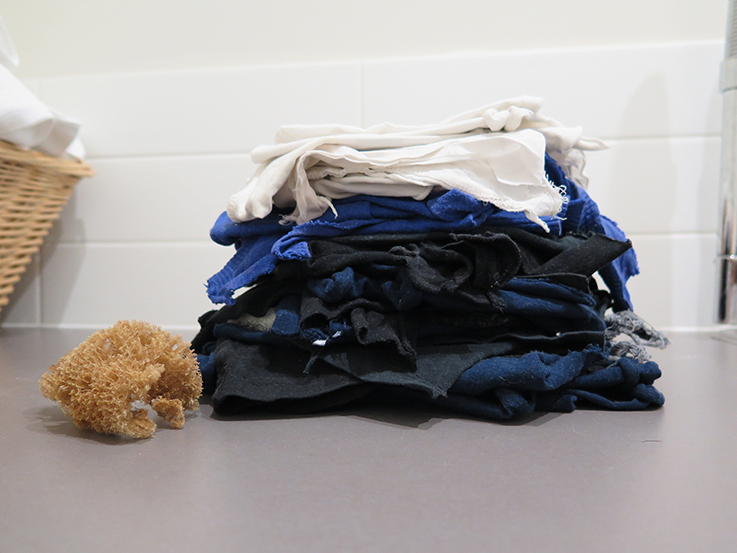 General cleaning is done with old cotton t-shirts. We wash dishes with an second hand cotton shirt cut up and sea sponges collected from the beach. We still have our old brooms and vacuum cleaner. There is no bleach. No harsh chemicals. Attitude to cleaning = relaxxxxed. I don't know why I included this on the list in the first year. Continuing to buy second hand but even this has bottomed out. I bought one top over the whole of last summer and two tops this winter. We do laps of second hand stores but always walk out empty handed. I did end up giving away boxes of clothes and shoes (so many shoes!!!) not because I have planned to go all minimalist but because I was not wearing any of them. I am leaning towards more natural fibers with the last three items I have purchased made of linen and wool. I love wool, it's perfect for Melbourne. Why have I not worn more of it?? So there, I am leaning away from synthetic ‘plastic’ fibers. First things first, I am not anti plastic. I am anti the misuse of plastic. Plastic has done some great things for medicine. It has healed and prolonged life, made mobility easier, given the gift of hearing, walking - the list goes on and on. Whenever someone asks me what to do I tell them to make a decision based on what's best for them. I'm thinking community events, movies (showing not making...well not yet), writing for broader publications. I want to tackle straws and plastic bags in the Moonee Valley area. So if you are from Moonee Valley feel free to contact me and let's get a group going. I will continue to write and share everything here. Maybe my journey from blogger to public motivator might inspire fellow introverts to find their voice too. As I finish this long post I want to give a high five to the Builder who has been a patient partner, my greatest ally and a wonderful problem solver. And to all my family and friends that go along with my choices, help me out and make cloth bags (mum and sis!). And a round of applause to all the people who comment, email, like, double tap when I have a question or query. I learn so much from you all. Keep sharing with me. To another year plastic free.